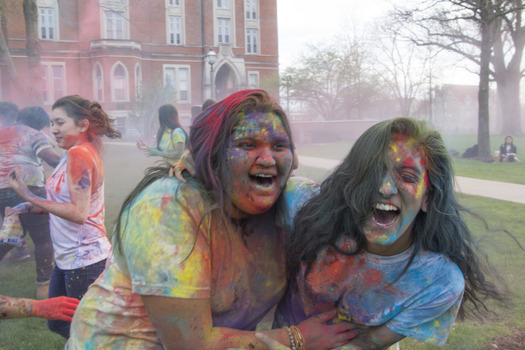 Interfaith Council Members Kainat Akmal '17 and ShelleyAnn Simon 17' celebrate the Hindu Holiday, Holi, on East College Lawn. 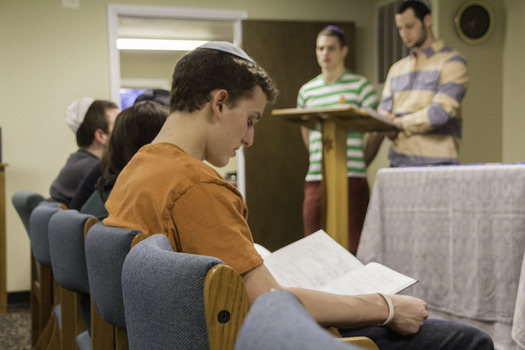 Interfaith Council Member Kyle Winters '17 participates in a Shabbat service led by two former Interfaith Interns, Noam Rose '16 and Alex Alfonso '15. 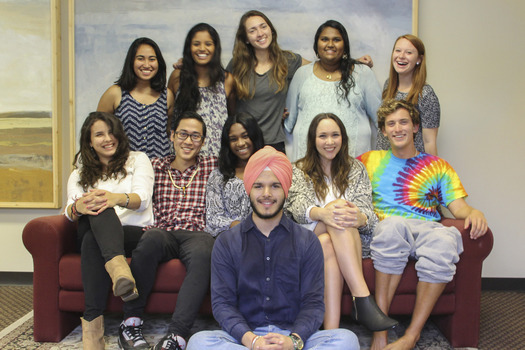 The Members of the Interfaith Council are leaders in our campus community. During a one year Interfaith Internship experience these students are trained to provide the campus with opportunities for Interfaith dialogue, service and experiential learning. In addition interns provide the campus with opportunities to learn about individual religious traditions through Religious Literacy campaigns, and provide for the well being of the campus by acting as Peer Chaplains. Interfaith Interns: The best candidates for this internship are energetic, creative, dedicated DePauw students who are interested in promoting positive interfaith interactions on our campus. As an Intern you represent your own faith tradition/belief system in your group, visit the worship community of each member of the group and share your experience in building interfaith community with the campus in an end of year presentation/project designed by the interns. When your intern year is over you become a member of the Interfaith Council. You are not expected to know everything about your tradition, but you are expected to be willing to share what you do know and willing to learn about the things you don't know yet. The Interfaith Internship team consists of 6-10 Interns and 1 Lead Intern (these are students who completed the program the previous year and have agreed to provide leadership and support for the new team of interns).